Have you seen all of the cute little shrugs that people are making out of T-shirts? I knew I wanted to make one, but I decided to create an even simpler version than the tutorials I was finding. What I came up with literally took 10 minutes to make. I chose a T-shirt that was fairly thick with not a lot of stretch compared to some of the T-shirts in my closet. Because of this fact this large sized T-shirt was a little snug on me so my daughter is the one wearing the shrug in the first picture. I think a good rule of thumb would be to pick a T-shirt that is at least one size larger than you normally wear if it doesn’t have a lot of stretch. 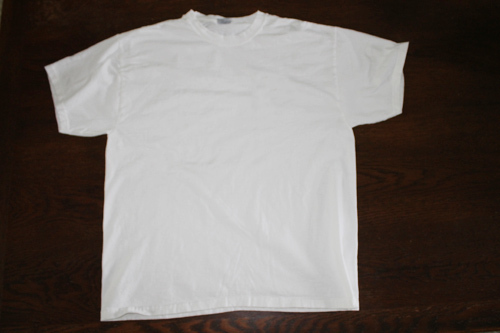 If you choose a T-shirt that has a more stretch you should be able to use a T-shirt that is your size. 1. 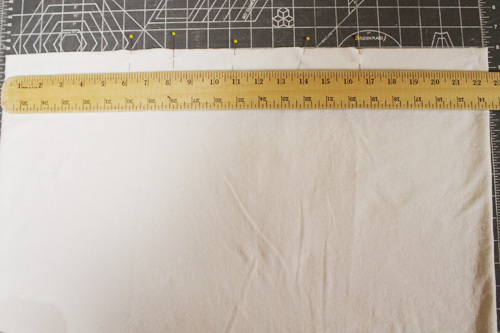 Lay out the T-shirt so that the hem (the bottom of the T-shirt) is even and the T-shirt is fairly smooth. 2. 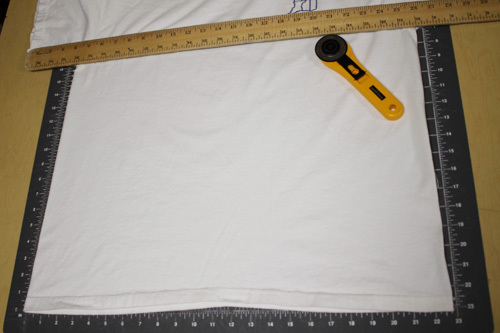 Place the ruler across the T-shirt just below the sleeves. 3. 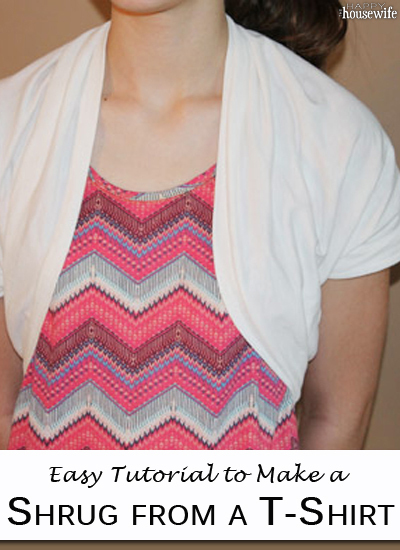 Using scissors or a rotary cutter cut off the top of the T-shirt. 4. Turn the T-shirt wrong side out. 5. Place a pin 6 inches from the right side and another pin 6 inches from the left side of the T-shirt. 6. Add a few more pins in between to hold the fabric together. 7. 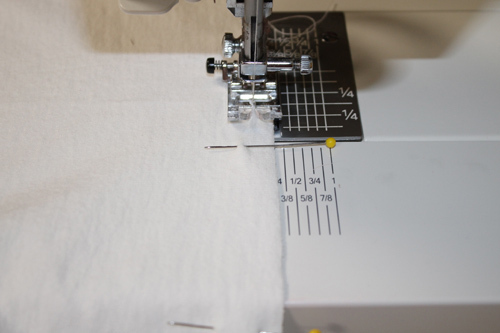 Sew from the first pin to the last pin using a 1/4 inch seam allowance. 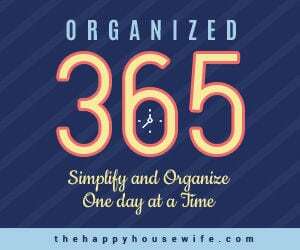 Be sure to backstitch at the beginning and the end. 8. Turn the T-shirt right side out. 9. Give the fabric at the 6 inch openings a little tug so the edges curl under. 10. 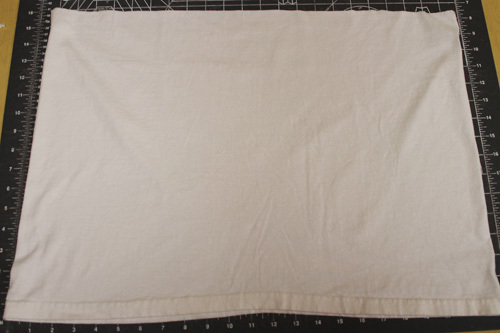 Put your arms through the openings so that the fabric is at your back. 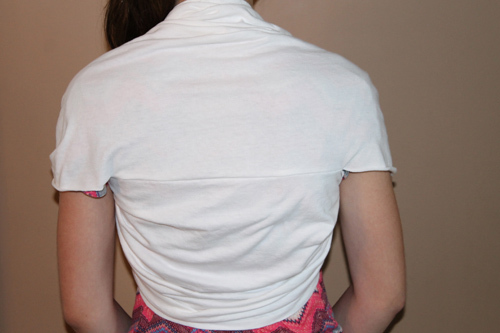 Here is what the shrug looks like from the back. This was such a fun project I think I am going to have to make some more in different colors. This is what I’ve been looking for! Cannot wait to try it! Thanks, Dawn! Please let me know if you do try this method. I would love to hear how it worked for you. Just what I was looking for! This will let the summer dresses last through fall! And allow my girls to wear theirs at school where tank tops aren’t up to dress code!!! Can’t wait to pull out my sewing machine!!! 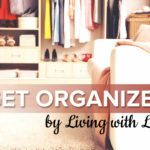 What a great tutorial and fantastic idea! Thanks so much for sharing. Thank you, Rachel! Let me know how yours turns out. This project just got me out of a craft rut. I’m in school and work full-time so I haven’t had time to do anything, let alone sew. But I had a solid 5 minutes for this baby! It was so fast. The one I made was a little too small but since you’re basically just sewing a rectangle I’m going to try it again with some different fabric. I’ve been looking for a little shrug for when I do aerial silks to protect my armpits from silk burns. I haven’t found anything that I like yet, but I think if I pick up some little jersey knit fabric or something at the store this will be perfect. Anyway, thanks a lot for help with my rut. I really missed my sewing machine. Great! I am so glad you were able to get your sewing machine back out. I hope you figured something out that worked for you. Great! This really is a fast project. Your shrug is so pretty and directions so easy and clear. Thank you so much. Just what I was looking for. Thank you. I hope it worked for you. Thank you! Please let me know how it works for you. Yes, using the top for a T-shirt dress would be a great idea. Happy sewing! Quick question: does the back part of the shrug slowly go up as you move around? Because I’m planning to wear it to prom and of course, there will be a lot of dancing. Thank you, Clariza. I am sorry I am just now getting back to you. I am not sure how much it will ride up while dancing as I have never tried it. 🙂 I guess you will just have to dance around at home to see what happens. 😉 Enjoy your prom.